Covering the entire span of human history across the African continent, this book begins in the Garden of Eden in the highland interior of East Africa and ends with the disintegration of apartheid. In the first chapter the author introduces us to our earliest tool-making ancestor (known affectionately as "dear boy"), in the last the author ponders the changes we are likely to see as the political elites of Africa begin to review the operation of their single-party systems. The human colonization of the continent - the origins of food production, the formation and diffusion of African languages, the achievements of Ancient Egypt, the impact of Judaism, Christianity and Islam, slavery, the caravan trade, exploration and colonization, the economic, political and social developments which gave rise to the modern nation states - this book looks at all these aspects in an overview of the history of Africa. 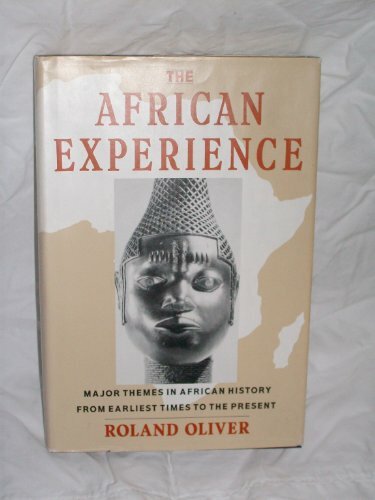 A brilliant survey of African history, now revised to include the events of the 1990s.